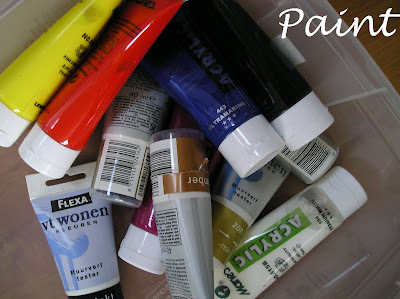 De opdracht van vandaag op Her Space My space is: Paint. This paint I found in my space. Gorgeous photo, love the colours & how they are piled on top of each other ~ great. Hey Jolanda, nice to see you playing along too!! Looks great all those colours!